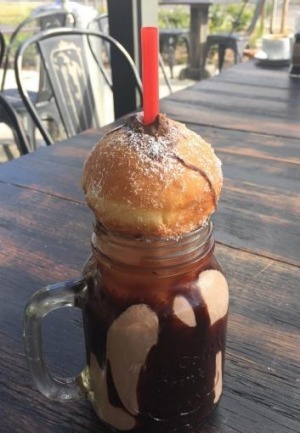 An Erskineville cafe made international headlines this month when goodfood.com.au reported on its Nutella doughnut milkshake. Would a peanut butter or strawberry jam version go just as viral? Or a Vegemite variety? Gosh, no. But why does the world love Nutella so much? A cocoa shortage in 19th-century Piedmont, Italy, meant chocolate was bulked out with ground hazelnuts and sold as a solid load called pasta gianduja (say it with me - zahn-doo-yah). Kids went mental for the flavour marriage and rather than switching back to standard chocolate when cocoa supplies replenished they kept devouring thick slabs of the stuff between bread (often throwing away the bread). In 1951 it was softened and sold by the jar and the Nutella name change happened in 1964. Well, maybe not anything. Nutella and fish might be a bit much. It does lend itself to an enormous range of desserts and pastries though. 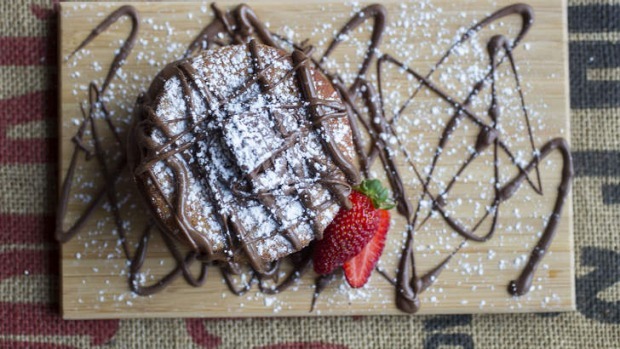 Nutella doughnuts and milkshakes are one thing but there's also Nutella crepes, Nutella cakes, Nutella brownies and Nutella tarts. Nutella baklava is terrific, as is Nutella roulade, Nutella pudding and Nutella ice-cream. 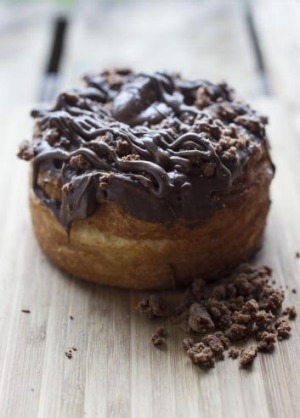 Challenge yourself to find a dessert that can't be Nutella-fied and you'll quickly find it's impossible. The hazelnut is celebrated and grown all over the world because it's gorgeous. Germany and Central Europe are batty about hazelnut cakes and in Turkey the hazel tree fruit is used in lokum (Turkish delight). Salsa romesco, the famous sauce of Tarragona, Spain, takes a good handful of them and the French sauce beurre noisette is butter heated until it's the colour of hazelnuts. The Italian liqueur Nocello, by the way, is one of the most splendid drinks that will ever touch your lips. 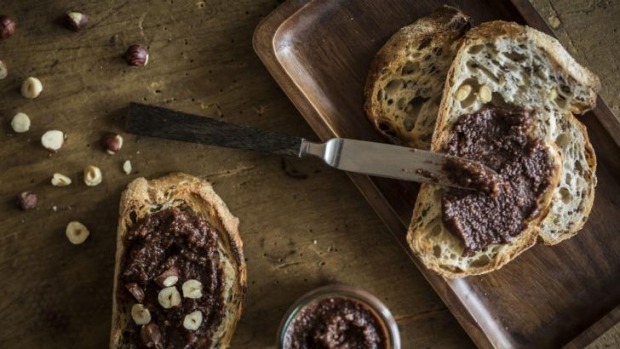 There are more than 50 hazelnuts in a 500-gram jar of Nutella. In fact, Nutella production consumes 25 per cent of the world's hazelnut supply. Jam is more jampacked with sugar and peanut butter is bigger on fat but Nutella represents both guilty pleasures spectacularly (30.3 grams of fat and 54.4 grams of sugar per 100 grams of the stuff). Fat and sugar are addictive taste-mates and one of the reasons why you keep coming back for another a slather (and having to run another five kilometres to work off those kilojoules). Humans are a sentimental bunch and there's a blissful innocence to Nutella that harks back to school holiday picnics in the park and cheeky midnight snacks. Remember those little lunch box packets with the plastic serving paddle? They were the best.